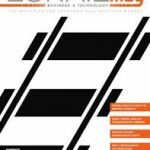 This is an historical article in EURAILmag Business and Technology Issue 19 on interactions between the ground, track system and train, included here in response to a third party request. As HS2 moves forward, William Powrie, professor of geotechnical engineering and dean of the Faculty of Engineering and the Environment at the University of Southampton, considers the arguments for and against using ballasted or slab track in high-speed rail. William Powrie, professor of geotechnical engineering and dean of the Faculty of Engineering and the Environment at the University of Southampton, and Louis Le Pen, senior research fellow in rail infrastructure, consider the ways through which the economic and operational performance of ballasted track could be improved.